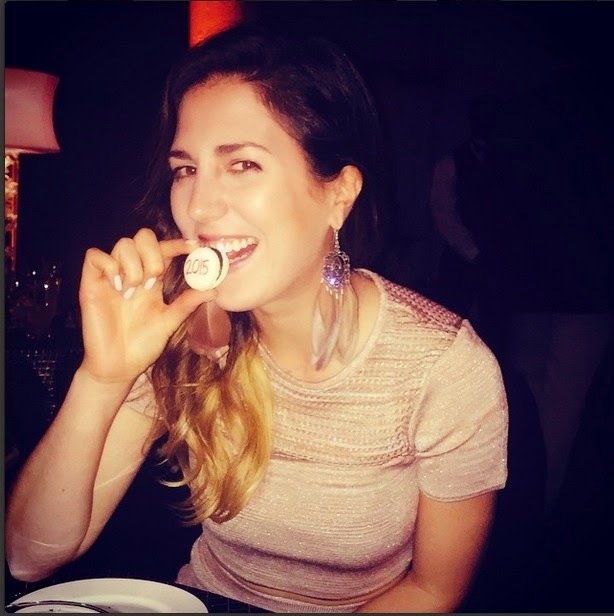 It was New Year's Eve when Sandra Gal posted the above pic to Instagram, and she captioned it, "2015 already tastes good." It probably tastes even better today: As I write this, LPGA players are in action at the tour's season-opener. And Sandra is now a diarist for USA Today. An editor's note that preceded Gal's first entry told readers that "(t)his season LPGA golfer Sandra Gal will be writing a weekly diary for USA Today Sports to share her adventures on the Tour." I have never played an LPGA event so close to my college stomping grounds as here, just around the corner from Gainesville and the University of Florida. This feels like a full circle moment to me, because not only did I learn about the 25 second attention span during my coursework toward my degree in Advertising, but being a part of the College of Journalism and Communications I also learned that writing for, well, USA Today, is a big deal. My recipe? Be a pro golfer for seven years first, win, smile, oh, and be German. The year could get even better for Gal later on, if she makes the European Solheim Cup team: the Cup is played in Germany this year.